Change your Range joins Dog Tread at Westminster 2014! 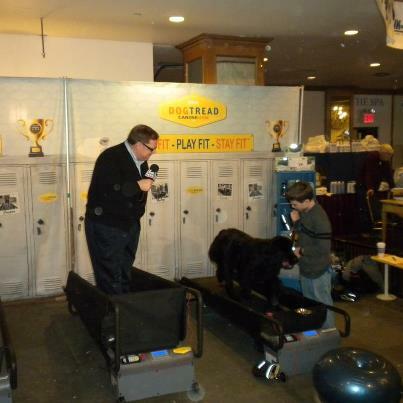 The DogTread Canine Gym helped to meet the conditioning needs for the Best-of-the-Best Canines at the 138th Westminster Kennel Club Dog Show! It was fun to share the floor with FitPAWS, Canine Conditioning Equipment and Gait-4-Dog, a pressure sensitive system designed for Canine Gait Analysis providing data in Evaluating Movement. Ever wonder what makes a dog Best in Breed or Show! The similar performance of all these dogs is their quality Build & Movement! Top-Line function determines the Quality of Suspension, Extension, the 'rounding of muscles' needed for such Presentation and Smooth/Floating Gait. Fox & Friends interview with Stella! It's Saturday morning, just a few days before the big show, and we are getting ready for a busy day of arrivals and events at the the Hotel. The Dog Spa, Canine Gym and Salon are all buzzing with activity. 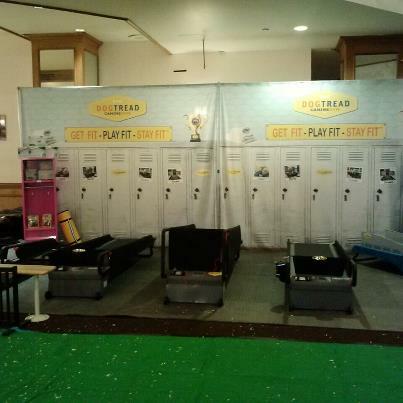 We have lots of hopeful canine contenders stopping by to take the DOGTREAD treadmill for a spin. It's a much needed opportunity to work out those travel kinks and stretch those muscles before their big debut. DOGTREAD Canine Gym at Westminster 2013, Manhattan, NY! DOGTREAD has a fabulous land-based canine treadmill that has low-level speed. It's safe, affordable, and easy-to-use! Whether your canine is just maintaining his or her Fitness Level or is in need of a more extensive therapeutic approach,this option is optimal. Why a Canine Treadmill? The use of a treadmill is optimal to maximize gait strengthening and re-training. The constant set speed is best unlike on "a walk" the speed variable can be contradicting in gait strengthening and gait rehabilitation.